DPAA, the global organization for everything digital out-of-home, has announced that BevTV has joined the association. BevTV is a beverage-focused ad channel enabling brands to target their audience with engaging and interactive content in beverage store aisles, right at the point of decision. BevTV is the largest digital ad network in the beverage industry, with access to over 1,000+ devices across US and Canada with an engaged and attentive targeted audience. 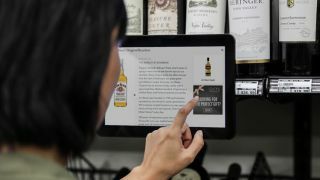 The ads will display on shelves at eye level, using interactive displays to deliver content right at the point of decision. This technology enables brands to target their audience in a very granular way by category, aisle, demographics, and more. Barry Frey, President & CEO of DPAA, said, "BevTV offers retailers a largely turn-key solution for interacting with customers and boosting sales. Their network of devices is a tremendous source of product information that helps turn browsers into buyers, and also serves as an effective vehicle for out-of-home messaging." Bruce van Zyl, President of BevTV, said, "We appreciate the job that Barry and his team have done at DPAA to advance the cause of digital out-of-home, and we are proud to now be part of this organization." DPAA is a global, digital out-of-home marketing association that has created a strong community environment where members drive and promote their digital capabilities.